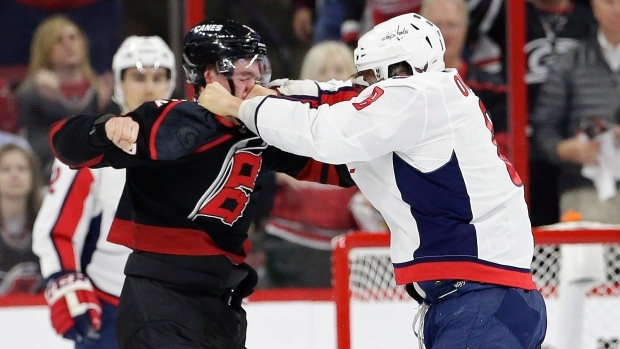 RALEIGH, N.C. — A barrage of punches from Washington Capitals star Alex Ovechkin could have an ongoing impact on the reigning Stanley Cup champions' playoff series against the Carolina Hurricanes. "It's just an honour to have met with him," Svechnikov said then of meeting Ovechkin. He eventually landed one squarely in the centre of Svechnikov's face. And as the rookie started falling backward, Ovechkin kept his hold and delivered a final blow toward Svechnikov's forehead as they fell.